Symmetry has employed ancient Asian medicines with today’s technology to create products meant to help humans live a healthy lifestyle. For the mind: If you support your mind, you can focus on your body. It is for the body: By giving our bodies a good nutritional balance, our bodies will heal ourselves. 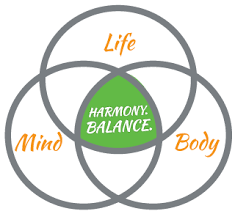 For life: The aspect of creating harmony between our minds and our bodies. I am going to provide a look at the history of Symmetry. I will give you a brief review of this health and wellness multilevel marketing company. And, I will also give you some cool facts I discovered in the process of developing this post. Do keep in mind that I am not affiliated in any way with the company. The information provided here is for educational purposes. Rudy Revak was born in Germany during oppressive times. His parents immigrated to America to find a better life, and throughout his childhood days, Rudy’s parents never let him forget where he came from and how fortunate he now was. They told him he could do and be whatever he set his mind too. Rudy served some time in the United States Army fulfilling a desire to give back to the country that accepted his family. Upon leaving the Army, Rudy found direct sales his talent; he was good at it. He also was adamant about the health of he and his family. Studying and using nutritional supplements, Rudy had a vision of creating a healthier world and also helping people’s financial well-being. Discussing his dream with two long time associates, Mary Julich, and Steven Kole, Rudy put together the company in 1995 in California with a small product line that has grown greatly over the years. The idea behind Symmetry is to always develop more advanced products, along with bettering current products. One of the experts brought in to keep products moving upward was Dr. Mark Crapo who is the Senior Vice President of Product Technology. As a former primary health physician, he understands what people need to live a healthier lifestyle. From examining other reviews, I find that a large percentage of the independent distributors with the company are very satisfied with how they are treated and the benefits they achieve. Symmetry lives by the golden rule that if they treat others well, they will gain success. The product that is the highest selling and the primary one is the Genesis X’tranol 24 antioxidant supplement. As I researched the company, I ran across several facts you may want to know. Dr Mark Crapo has a website. Symmetry Global offers a wide range of events and trips. From my look at Symmetry Global, I believe they have a good system that is helping people live a better lifestyle both in their health and in their wealth. There have been some who claim that some Symmetry Global representatives use deceptive tactics, and when I viewed some of their practices, I may have to agree. When ads are run claiming that it is an employment opportunity, that can be deceptive. If you are a Symmetry Global independent distributor, I suggest you not use these tactics. It just creates a revolving door. You may sign the people up, but they will probably quit soon after. I would like to hear from any of you who have used Symmetry Global products. What were your favorites? Add any comments or questions in the comment section at the end. If you believe that this may be the home-based business you would like to have, you should visit the Symmetry Global website in the reference section. I wish you success with your business, and I hope this review helped you. Thank you. Disclaimer: Neither I nor the Online MLM Community is affiliated in any way or form with Symmetry. This is not a paid review. It is written strictly for your information.